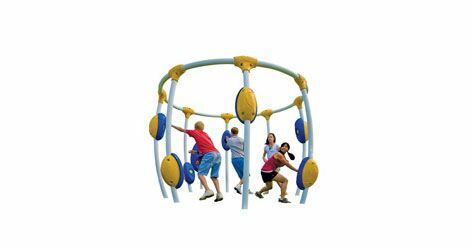 At Playworld, we understand that adolescents and adults with special needs want to have just as much fun on the playground as their typically-developing peers. That is why we create our outdoor play equipment to benefit those with special needs, by including features that will help each and every person burn calories, build physical strength, develop social skills and have fun. 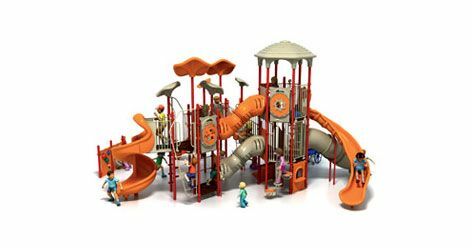 Explore our American-made playground equipment, and find out why Playworld is the leader in inclusive, sustainable play. We design and build each and every one of our outdoor play systems with “play richness” firmly in mind. That means all of our creations are developmentally optimized to help people with special needs build gross motor skills, social skills and more. Activities and features are grouped thoughtfully, so children can play with and alongside each other. Routes are wide enough to accommodate wheelchairs; surfaces are absorbent yet strong. Each design features multiple challenges that stimulate a variety of growth processes, from physical to social to sensory. We also make sure that every play environment’s “coolest thing” is accessible to all users, not just those who can climb the highest or farthest. 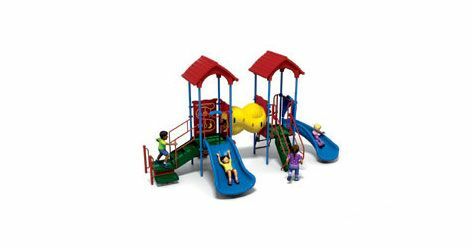 Playworld creates playgrounds for children and adults of all ages and abilities. 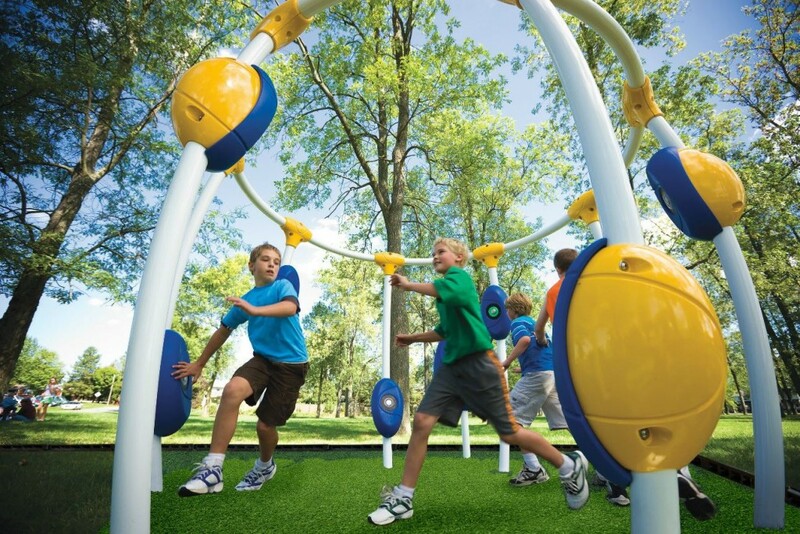 From school-age playgrounds to Outdoor Fitness Systems to our one-of-a-kind NEOS Electronic Playgrounds, your school, park, organization or home will benefit from the inclusive sense of community our environments provide. 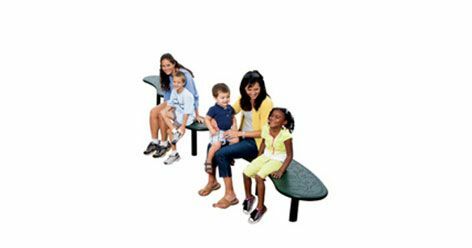 Our beautifully designed playgrounds and furnishings are durable, too, and reflect the best of American ingenuity and craftsmanship. Playworld is proud to be family-owned and family-operated for over 40 years. We believe details matter — and that is just one of the reasons our superb craftsmanship and leadership in sound environmental stewardship set us apart from other playground manufacturers. We’re the leader in inclusive play — because everyone, regardless of age or ability, should have the opportunity to have fun. We are also the leader in creating sustainable, Earth-friendly play environments that won’t harm future generations by using non-recyclable materials. Quite simply, Playworld believes our legacy of play shouldn’t damage the Earth. 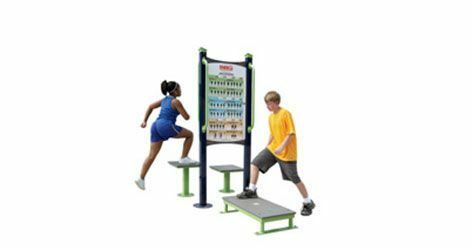 Our playground systems are 99.999% free of dangerous PVCs. We are the first and only play environment manufacturer to achieve Cradle to Cradle Silver Certification, a comprehensive, rigorous evaluation system that tests products on sustainability. We incorporate the principles of Green Action — eliminate, reduce, reuse and recycle — when creating our playgrounds so future generations of all ages and abilities can enjoy old-fashioned playtime.